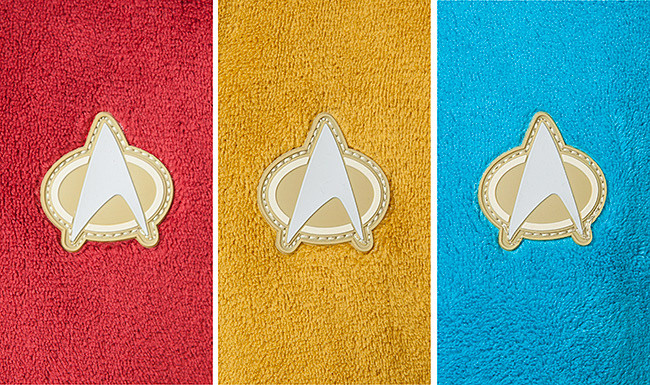 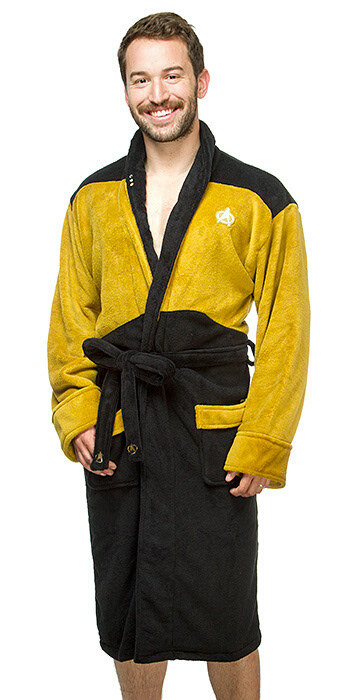 Star Trek TNG Bathrobes: 100% Polyester Fleece, contrast uniform colorblocking, embroidered pips at collar, 3D PVC badge at chest, embroidered delta logo at belt ends. 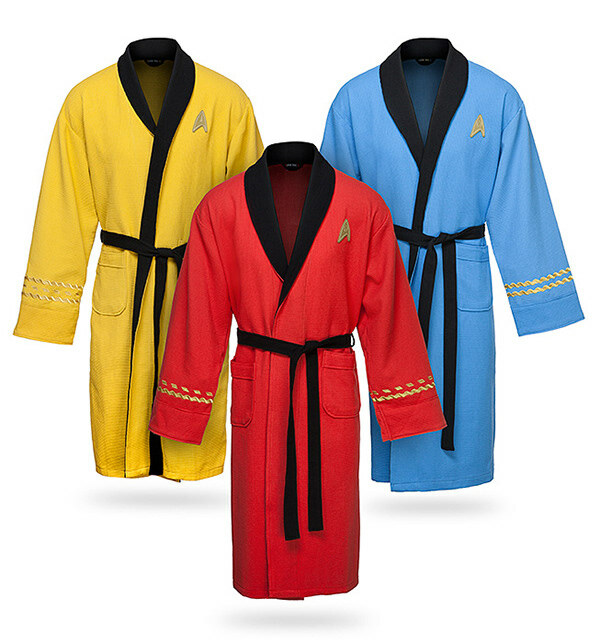 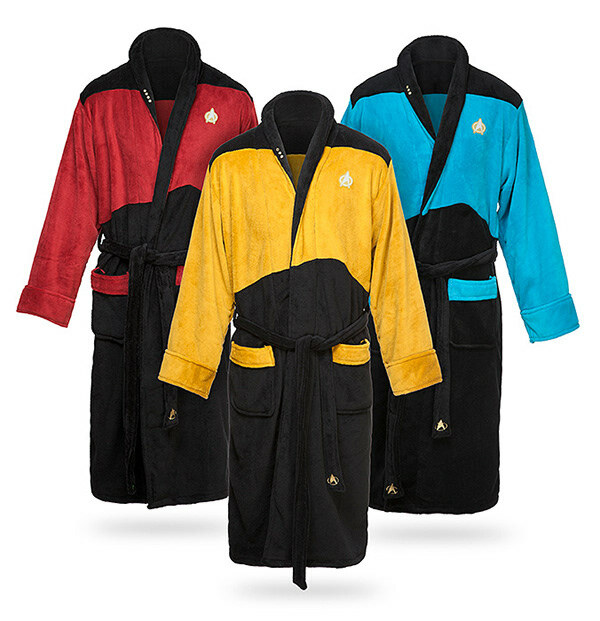 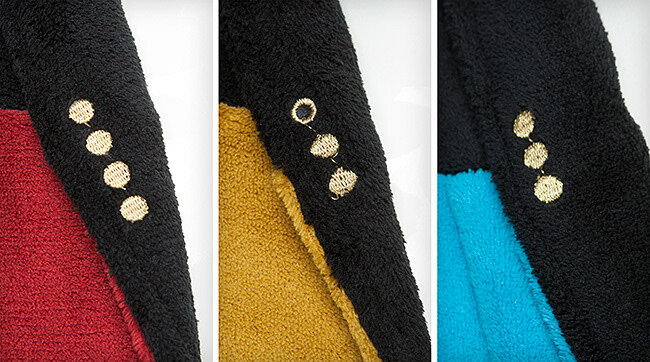 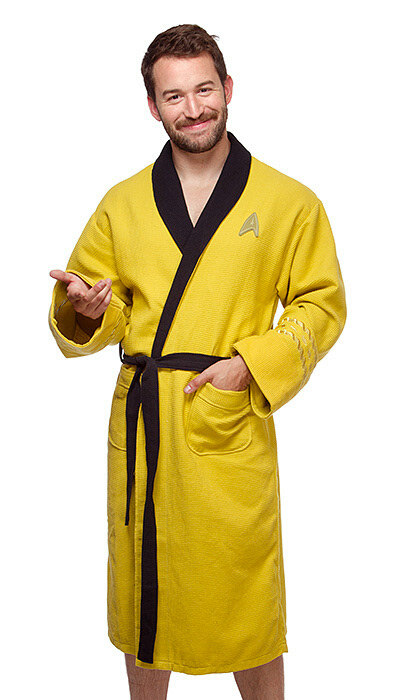 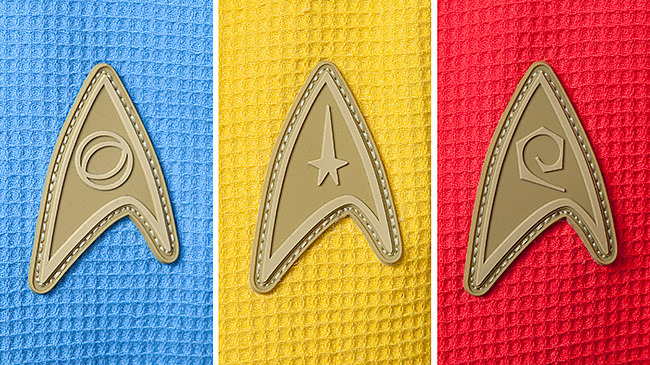 Star Trek The Original Series Bathrobes: 100% cotton waffle texture robe with contrast belt and collar. 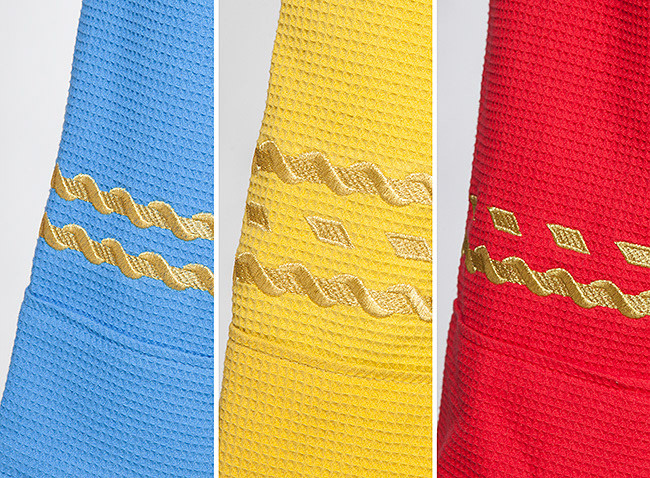 Embroidered gold uniform braid at sleeves and 3D PVC communicator badge at chest.